Where are we and where are we going in our Jewish lives? It’s a weekend of friendship and community, with a joyous celebration of Shabbat in a casual, relaxed setting surrounded by nature. This program is specifically designed for Tikvat Israel members, family and friends. It’s a relaxing weekend experience that celebrates all that Shabbat has to offer within a kehillah (community). What will we do at the Kallah? We begin with a welcome and some time to get settled. Then we gather for an outdoor Kabbalat Shabbat service with spirited singing, followed by a kosher farm-to-table homestyle dinner. All meals are served in the main dining room, which has large windows that overlook the farm. Saturday morning begins with breakfast and continues with engaging Shabbat services, followed by lunch. In the afternoon there are a variety of activities: Torah study, hiking, yoga and meditation, board games, visiting farm animals, children’s programming and free time. Next, enjoy dinner, followed by the sights, sounds and smells of Havdalah around the campfire with s’mores. Sunday morning it’s time to wake up, pray and, if you wish, learn to put on tefillin. Then have a delicious breakfast, share highlights of our weekend together and pack up. People observe Shabbat in many different ways. To make everyone feel comfortable, we will not write, use the phone or let our phones ring in public areas. In the privacy of your room, you may observe Shabbat as you wish. Kallah 2018 will be held at the outstanding Pearlstone Center, 5425 Mount Gilead Road, Reisterstown, MD 21136. 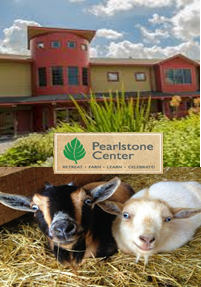 The Pearlstone Center is situated on 160 acres of pasture, woods and farmland. Pearlstone is under kosher supervision (OU certified kosher). All of Pearlstone’s public and common areas are accessible for individuals with physical disabilities. For details about this lovely facility and its comfortable accommodations, as well as directions, please visit Pearlstone’s website, www.pearlstonecenter.org. Casual and comfortable attire. Bring your tallit, favorite kippah and tefillin. We encourage you to bring wine to share, board games and books. Pearlstone does provide many games as well. When does the Kallah begin and end? Check-in: Friday, October 19, from 3:00 to 5:00 p.m. We encourage you to arrive and settle in before Shabbat begins (6:20 pm). However, we request that you advise us if this may not be possible. L’hitraot (Farewell): Sunday, October 21, after breakfast. Spending one Shabbat together as a kehillah (community), from lighting candles on Friday night through lighting the Havdalah candle on Saturday night, and continuing our connection through Sunday morning, will bring us – all of us – together as one. Those of us who attend Kallah 2018 will be participating not only as individuals, or as family members, but as shlichim, representatives of our entire congregation. We will pray together, sing together, eat together, laugh together and learn together. We will come to know the joy of Shabbat b’yachad, (together as one), and we will bring back this ruach Shabbat b’yachad, this special Shabbat spirit, to our entire congregation. We will be witnesses to the power of Shabbat for those who do not attend. Friday night together, praying and eating and singing, will be an experience to be replicated as will Havdalah as the stars come out. Yes, Kallah 2018, hopefully, will turn into Kallah 2019 and 2020, but even more importantly, Kallah 2018 will turn into a more unified and spirited Tikvat Israel for years to come. We hope that you and your family will join us for One Shabbat as One. Questions? For additional information, contact Kallah chair Felicia Black at feliciarblack@msn.com.